Chandigarh, Jan 5 : In a bid to tap different market segments, Reliance Life Insurance Company (RLIC) announced the launch of two new products - Reliance Jan Samriddhi plan and Reliance traditional super invest plan - here Tuesday evening. "These new products are in line with RLIC's mission to offer a comprehensive range of insurance products to satisfy the needs of our increasing number of customers across all segments," RLIC president Malay Ghosh told reporters here Tuesday. New Delhi, Jan 5 : Union Commerce and Industry Minister Anand Sharma, who was scheduled to hold industry consultations and address press conference in Shimla today and at Chandigarh on January 6 had to reschedule the programmes in view of the inclement weather conditions leading to cancellation of various flights and train services. Chandigarh, Jan 5 - A consumer forum has ordered a private hospital here to pay a compensation of nearly Rs. 18 lakh to a former patient for deficiency in services, an official said Tuesday. The district consumer disputes redressal forum has directed Inscol hospital, located in Sector 34, to pay the compensation money to Inderjit Arora, a resident of Manimajra town near here. Chandigarh, Jan 5 - The Chandigarh airport has been virtually shut for three days and no flight has landed or taken off due to dense fog, officials said Tuesday. "We had to cancel all the flights because of very poor visibility. We are keeping our fingers crossed and waiting for these clouds to clear," said a Chandigarh airport official. The airport's Instrument Landing System (ILS), essential during these days of low visibility, has been lying defunct for some months. Chandigarh, Jan 4 : Following the conviction of a former Haryana director general of police, Congress' legislator in Punjab Sukhpal Singh Khaira Monday said he had urged union Home Minister P. Chidambaram to take action against a senior Indian Police Service (IPS) official in Punjab. "Sumedh Singh Saini, who has many criminal cases pending against him, is flourishing under the political patronage of Chief Minister Parkash Singh Badal. In order to please his political masters, Saini has unleashed a reign of terror on Congress party workers," Khaira alleged. Chandigarh, Jan 4 : A move by Panjab University (PU) authorities here to introduce a system for students to evaluate teachers and also extend the facility of online checking of attendance has run into stiff opposition from the university teachers. The Panjab University Teachers' Association (PUTA) Monday rejected outright the concept of evaluation of teachers by students, as has been proposed by the university authorities and also the students' council. Chandigarh, Jan 4 : Punjab Chief Minister Parkash Singh Badal Monday urged Prime Minister Manmohan Singh to ensure the safety of youths from the state studying or working in Australia, following the killing of a youth in Melbourne Saturday. "Badal has urged the prime minister to ensure the safety and security of Punjabi youths who had gone to Australia to pursue higher education or for other vocations," a government spokesperson said here Monday. Chandigarh, Jan 4 : A city-based private company Monday started a drive to fumigate and sanitize the swine flu-affected schools in Chandigarh free of cost. Alliance Formulations, a service provider for lifestyle and healthcare products, has come to the rescue of affected schools in the wake of increasing number of swine flu cases in them. 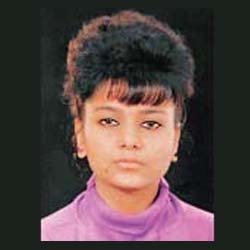 Chandigarh, Jan 4 : As a fallout of teenager Ruchika Girhotra's molestation by former Haryana police chief S. P. S. Rathore, the high court here has asked administration in Punjab, Haryana and Chandigarh to submit details of all pending criminal cases against "highly connected people". Justice Ranjit Singh has asked home secretaries of both states and the union territory to submit details of cases pending against police officers, politicians, bureaucrats and other highly connected people by Jan 12. Chandigarh, Jan 3 - Chandigarh and its neighbouring states Punjab and Haryana experienced overcast conditions accompanied with dense fog but got respite from chilly weather Sunday. The centrally-administered city, which shivered at 2.2 degrees Celsius Saturday, saw an increase in temperature of over 6 degrees in the last 24 hours. The minimum temperature Sunday was recorded at 8.6 degrees Celsius. Bright sunshine greeted the denizens by 10 a. m.
Chandigarh, Jan 3 - Power supply was partially restored in various parts of Punjab, Haryana and Chandigarh early Sunday after it had remained snapped for over five hours due to the tripping of the northern grid Saturday night, an official said. (PSEB) chairperson H. S. Brar told IANS. 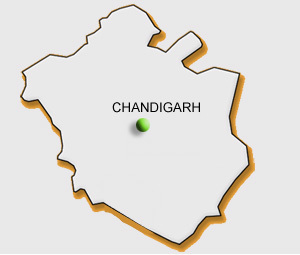 Chandigarh, Jan 2 : Many parts of Punjab, Haryana and this union territory were blacked out at around 10 p. m. Saturday, due to a second possible tripping of the northern grid in the day, an official said. "Our officials are trying to ascertain the reason behind this sudden blackout. It could be a tripping but we are still checking the actual cause of this problem," H. S. Brar, chairperson of Punjab State Electricity Board (PSEB), told IANS. Chandigarh, Jan 2 : A Sikh preacher who heads a prominent gurdwara here and who is wanted in cases of cheating and fraud was arrested in a Punjab town Saturday, police said. "We arrested Prithpal Singh from Machhiwara town (near Punjab's industrial city Ludhiana) this (Saturday) evening. We will produce him before the court Sunday," said a police officer. "Singh is wanted in many cases. After interrogation, we hope to solve these cases," he added. Chandigarh, Jan 2 : Denizens of Chandigarh and the neighbouring states of Punjab and Haryana woke up to a cold Saturday morning with the mercury dipping and blinding fog engulfing most parts of the region, affecting road, rail and air traffic. Chandigarh shivered at a minimum temperature of 2.2 degrees Celsius Saturday, which was three degrees below averge, a Met official said here. "Fog prevails in most parts of the region since Friday night and it has reduced the visibility level to just 100 to 200 meters," he added. Chandigarh, Jan 2 - A special police team tasked to probe fresh charges against former Haryana police chief S. P. S. Rathore, convicted of molesting teenager Ruchika Girhotra, will complete its work "as early as possible", Chief Minister Bhupinder Singh Hooda said Saturday. "We have full sympathy with the family members of Ruchika. SIT's (Special Investigation Team) report is awaited. 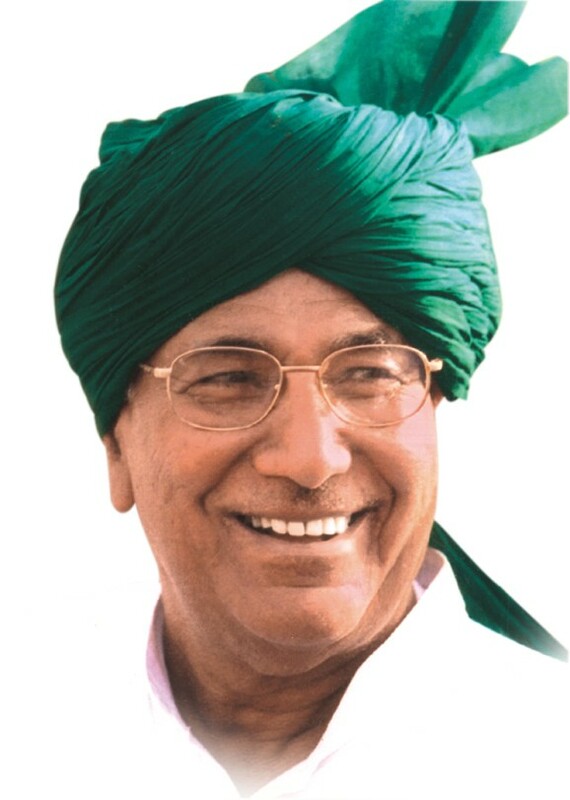 We will not spare the guilty," Hooda told reporters here. Chandigarh, Jan 2 - Many areas in the north Indian states of Punjab, Haryana, Himachal Pradesh, Jammu and Kashmir and even Chandigarh had to face a power blackout since early Saturday due to the northern grid "tripping" owing to heavy fog. Nearly two dozen trains, including 10 express trains, were affected in Punjab and Haryana due to the power failure and the railway authorities are trying to put diesel engines to resume rail services.